I am happy to announce that one of my favorite Gluten-Free (and incredibly tasty) snacks, ‘Sahale Snacks’ is now available in Seattle’s Best Coffee. So, with this exciting news, I’ll be sending the winner of my Sahale Snacks Giveway a sample of each of the two flavors that are offered at Seattle’s Best Coffee. Last week, Valdosta and Sing Buri nut blends debuted at Seattle’s Best Coffee counters in convenient 2-ounce pouches — enough to share with a friend over coffee or to satisfy a morning and an afternoon snack craving. I surely stash these lil’ babies in my desk drawer…you surely can’t beat the crunchy, sweet n’ savory blend of nuts, seeds, dried fruits n’ spices in your morning oatmeal, atop your lunchtime salad, as an afternoon pick-me up to beat the 3PM slump…in your evening stir-fry or enjoyed as a dessert nibble atop Greek yogurt. Sahale Snacks’ rich and peppery Valdosta Pecans pair especially well with Seattle’s Best Coffee winter beverages, like Vanilla Cinnamon Latte. The spicy and exotic Sing Buri Cashews make a lively accompaniment to tea, espresso, and brewed coffee drinks. 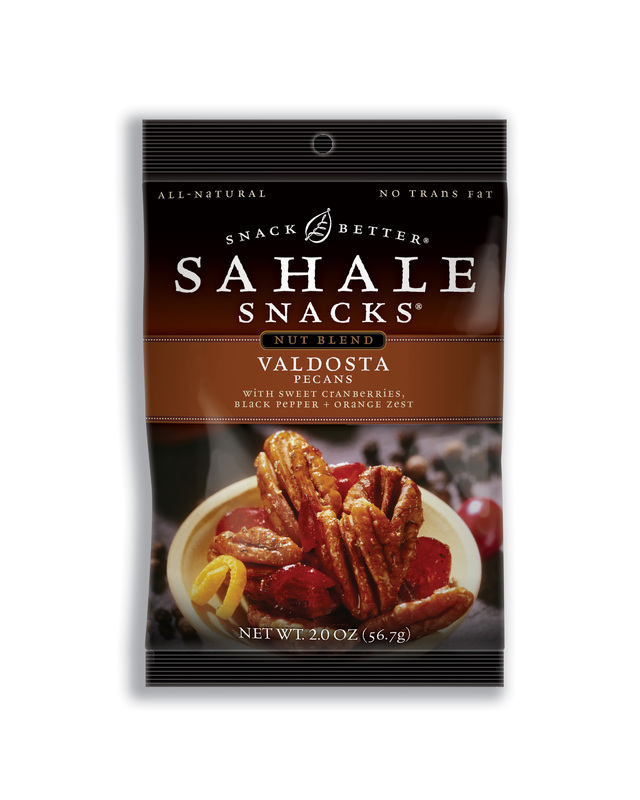 Sahale Snacks Valdosta is a blend of lightly spicy pecans, sweetened, dried cranberries and orange zest. The flavor combination echoes flavors of the American South and will pair especially well with Seattle’s Best Coffee winter beverages, like Vanilla Cinnamon Latte. 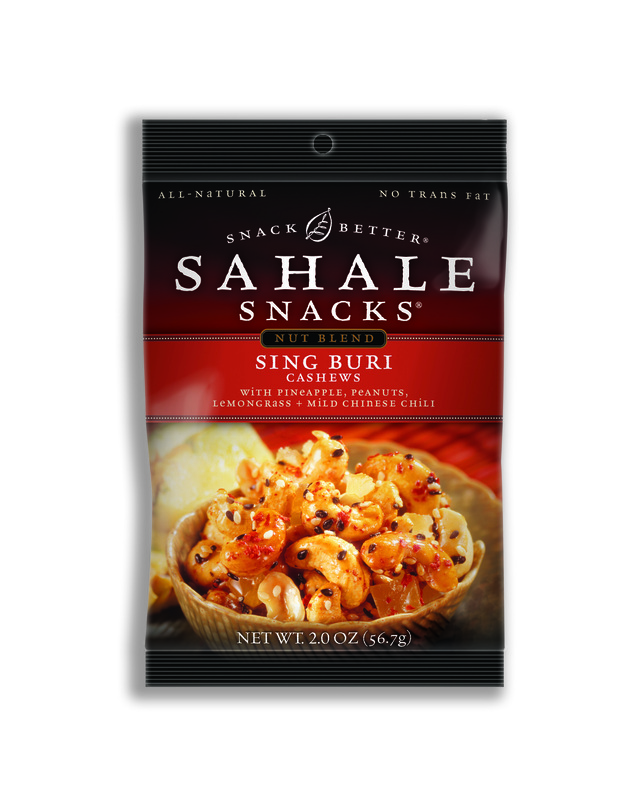 Sahale Snacks Sing Buri is made with cashews glazed with soy sauce and lemongrass combined with dried pineapple, peanuts, and sesame seed – all lightly dusted with mild Chinese chili. This aromatic blend is reminiscent of a flavorful Thai dish and makes a lively accompaniment to tea, espresso, and brewed coffee drinks. In a food processor, combine Sahale Snacks Honey Glazed Almonds and Cranberry Cashews; process until smooth. Slowly add oats, agave nectar, almond extract and coconut oil. Process until smooth consistency. Transfer to a mixing bowl; using hands form into golf-sized balls. Roll each ball first in cinnamon, then in cocoa powder to coat completely. Transfer coated balls onto a baking sheet lined with parchment paper. Place into the freezer for 25 minutes. Visit the Sahale Snacks website and tell me which flavor you’d like to try. Have you ever tried Sahale Snacks? If so, what are your favorite flavors? I’ll be picking a winner on Friday, October the 1st at 5PM EST. …as I enter Challenge #2 …with my delicious Arabic creation below, vote for me to inch one step closer to being the Next Food Blog Star!